Google Glass will undoubtedly change how people consume information, share content on the Internet, and interact with the world around them. 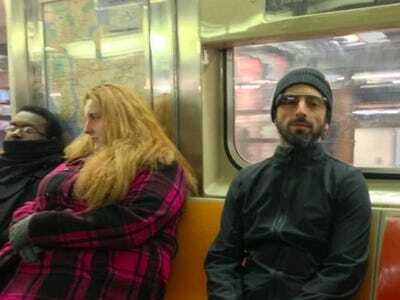 But one of the biggest issues to consider, while the concept of Glass is still relatively new to people, is privacy, James Bareham recently wrote in a forum on The Verge. By now, we’re all used to people taking photos and shooting videos on their mobile devices. With a mobile phone or tablet, it’s obvious if someone is recording because they have to hold up the device. But with Glass, it will be nearly impossible to know whether or not someone is taking photos or capturing video. That’s why there will be a need for some type of “Glass etiquette,” The Verge’s Josh Topolsky wrote in his review of Glass. Otherwise, when someone walks into a restaurant wearing Glass, for example, non-Glass users may feel uncomfortable because they may think they’re being recorded. Granted, there is a light that goes on when you’re recording with Glass, but as Topolsky notes in his review, he got the feeling that most people didn’t know what they were looking at. Obviously, this will change as more people become familiar with Google Glass.